AOL – Does it mean, Absent – on Leave? 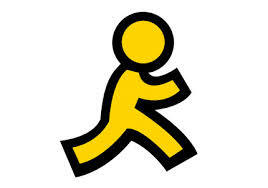 I always hated when AOL came out with their newest versions. It always burned my hide, as my grandmother use to say. But I’ve got to say, they are waaaay overdue for an upgrade or update and I’m ready for it. I have to go to Google Chrome to get on AOL just so I can read the font. The font on AOL’s recent update (a few years old), is just too small and it doesn’t give you the capability to enlarge it. Uuuuuugh!!! It’s bothersome because there are things I can do on AOL that I can not do on other paths to aol or other emails, such as gmail, etc. AOL, where is the update/upgrade/new version? Did you all hear that echo? I think they are absent with out leave papers. Why is it the consumer gets plucked in the end?